We are the first in the world to show that self-driving cars can make traffic better for the cars around it. Check out the YouTube video that goes along with the research results! Prof. Sprinkle has been using videos to help students learn control systems through YouTube since 2013. Now, a new version of Modern Control Systems (Dorf and Bishop) uses videos developed by Sprinkle as an integral part of the text. UA Engineer Matt Bunting helps design a non-expert modeling language for kids to program self-driving cars. The Compositional Systems Lab (CSL) is located in the Department of Electrical and Computer Engineering at The University of Arizona. The major focus of this lab involves systems where a major portion of control, operation, or sensing, involves computing. Examples are cyber-physical systems, autonomous systems, and many kinds of robotics. Technology to perform this research includes embedded computing, model-integrated computing, and software engineering. Theoretical understandings in systems theory, graph theory and rewriting, and models of computation is imperative to ensuring systems are built and run correctly. Check out the website for projects involving autonomous ground vehicles, runtime-configured embedded systems, energy-saving smart thermostats, and more. This project was subcontracted through SSCI to ARO, as a Phase 2 STTR. The project is publication restricted, so only the private webpage is available. This work is supported by the Army Research Office, under award #W31P4Q-08-C-0498, titled "Modeling Techniques to Support Matrix-Based Algorithm Obfuscation". This work was supported by the Air Force Research Laboratory, under award #FA8750-08-1-0024, titled "MultiCore Hardware Experiments in Software Producibility." 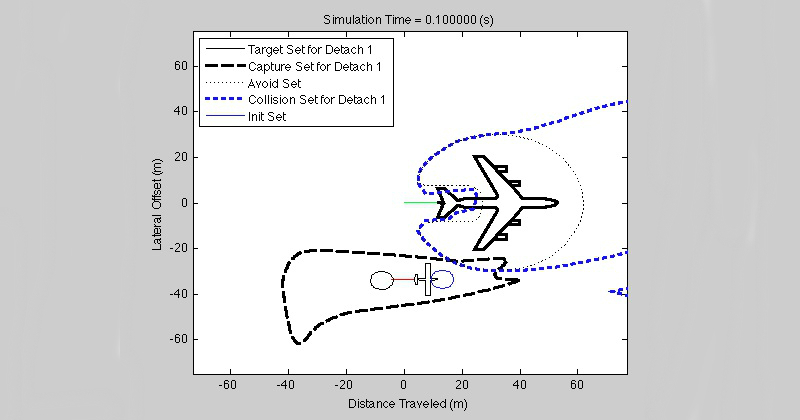 Multiple computational nodes will perform simulations of quad-rotor vehicle control models, allowing evaluation of various human-UAV interaction protocols through the C2WT infrastructure (under development at Vanderbilt). The objective of this research is to develop abstractions of embedded human systems (i.e., where components are necessarily human and computational) that permit computational analysis and verification of their design. With about half of a home’s energy cost resulting from heating, ventilation, and air conditioning (HVAC), choices for the heating and cooling setpoints can have a large impact on monthly expenses. This research experience for undergraduates (REU) engaged in the myriad of applications that are related to autonomous ground vehicles. The objective of this research is an injection of new modeling techniques into the area of Cyber-Physical Systems (CPSs). The approach is to design new architectures for domain-specific modeling tools in order to permit feedback from analysis, validation, and verification engines to influence how CPSs are designed. In the next few decades, autonomous vehicles will become an integral part of the traffic flow on highways. However, they will constitute only a small fraction of all vehicles on the road. This research develops technologies to employ autonomous vehicles already in the stream to improve traffic flow of human-controlled vehicles. Predicting how a system will behave in the future requires more computing power if that system is complex. Navigating through environments with many obstacles could require significant computing time, which may delay the issue of decisions that have to be made by the on-board algorithms. This project seeks to develop new theory for controller design which incorporates selecting the best model to use when making a decision in real time.